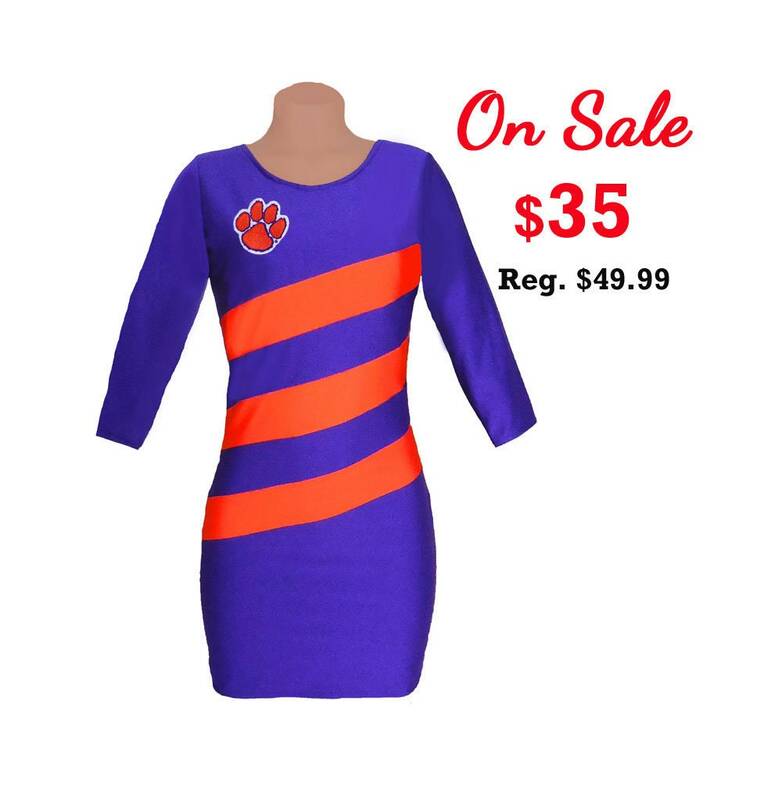 Dress up for game day in this eye-catching purple pullover dress with orange diagonal stripes and 3/4 length sleeves and embroidered Paw Print! Poly/spandex blend. One left! Small (fits sizes 4-6). On Sale: $35 (Reg. $49.99).